Cook rice and allow it cool in a wide basin. Cut tomatoes into fine pieces and keep aside. Heat oil in a kadai and add mustard. Once they start spluttering, add curry leaves and channa dal. When the dal turns golden brown, add onions and green chillies and saute till the onions become translucent. Add ginger paste and saute for a few more minutes. Now add the tomatoes and turmeric, mix well and let it cook on medium flame for about 4-5 minutes. Add chilli powder and salt and mix well and let it cook till the tomatoes turn mushy and oil separates. 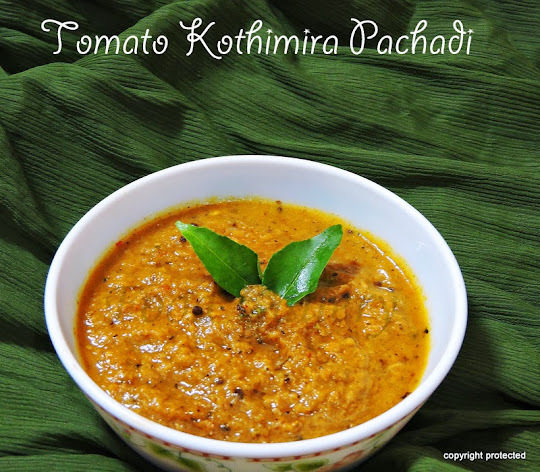 Switch off and add this tomato mixture to the cooked rice and mix well. 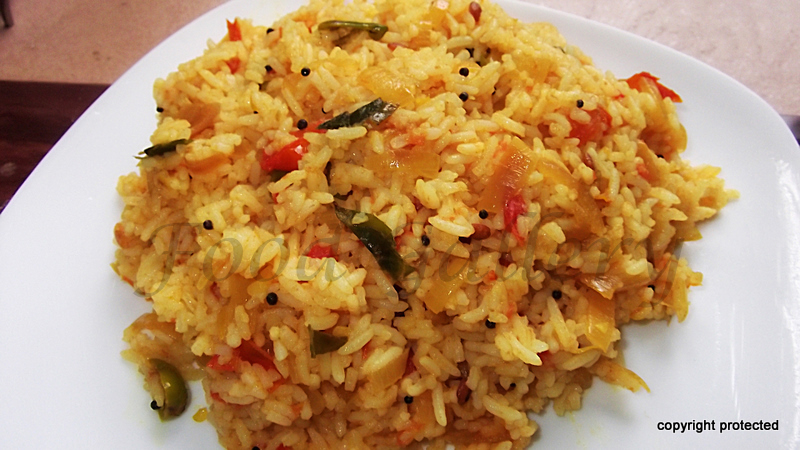 Tomato rice is ready to serve with papad or any raitha. This is my son's favorite but I prepared slightly different way. Happy Diwali dear! Yep tomato rice is a winning rice recipe. The color the flavor, you just can't go wrong. So many have never tried too, which is surprising it is so easy to throw together. First time on your blog. 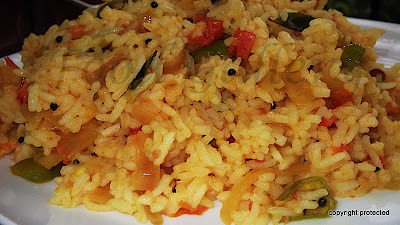 I like tomato rice...used to get these from friends who used to pack the lunch from their home for us who stayed in hostel. Your recipe looks good!! I always used to have dis frm my frnds lunch box during clg tyms...Let e try dis at home nw..